Audiences don’t know somebody sits down and writes a picture; they think the actors make it up as they go along. The Los Angeles landscape is haunted by half-remembered movies. They permeate our perceptions of the low-slung buildings along backstreets, and overlay the monuments and seemingly inconsequential details of our daily lives with flashes of drama—star maps of the unconscious. 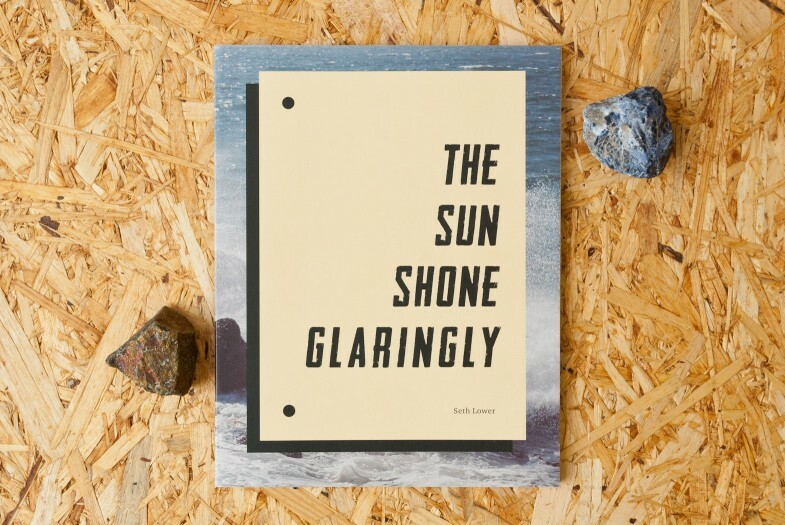 Combining text and photographs, Seth Lower’s The Sun Shone Glaringly strolls us through the California landscape and records the ambient fragments of movies both real and imagined. Come along, you’ll need someone to give you directions, someone to read you your lines…You didn’t think you were doing this alone? 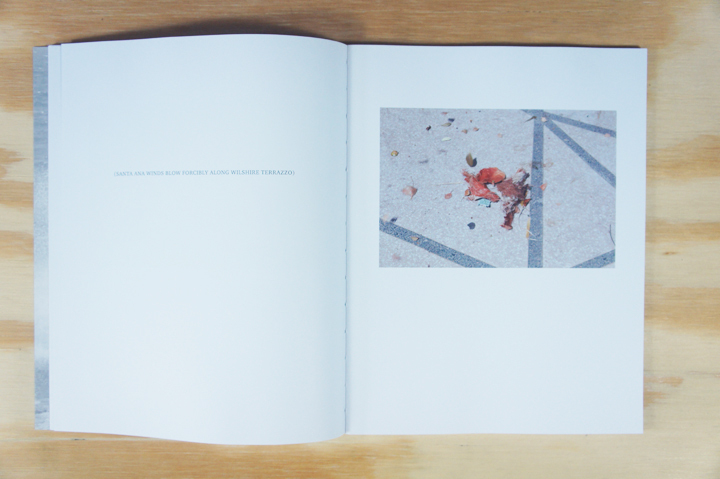 As one moves through the book, many of text fragments seem vaguely familiar, especially when paired with their actual movie locations. Like snapshots taken by a harried location scout, the vacant buildings and streets wait to be transformed and filled with action. 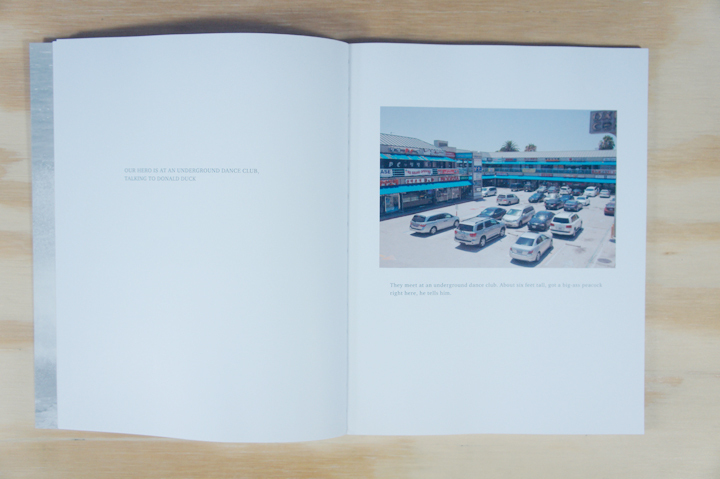 As Lower explains in the back of the book, the majority of the text is pulled directly from well-known movie scripts shot in and around Los Angeles. From art-house favorites like Mulholland Drive and Touch of Evil to popular classics like Planet of the Apes and The Karate Kid, the sources range widely. Although the book has no clear narrative, it does have an unnamed hero. We learn in the opening page that he is “1.) plagued by self-doubt; 2.) alone on a mountain; 3.) or what seems like a mountain; 4.) with the night coming on.” Always an unnamed He, the hero occasionally runs into a woman, or Her. Mostly, he’s alone moving—one moment to the next. Multiple actors appear throughout the book, but they’re more often generic types that stand in for the viewer who enters and exits the book’s narrative ebb and flow. Embracing, yet also subverting, the clichés of Hollywood movies, Lower’s koan-like narrative fragments present a humorous and engaging view of Hollywood and its narrative landscape. The Sun Shone Glaringly is full of stage directions pulled from movies or imagined by its subjects. Whether or not we choose to admit it, we’ve all allowed such directions to shape and dramatize moments in our lives. In the end, no one can escape the language of scripts or the suggestive images they conjure on the screen or in our minds.